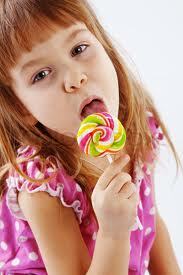 Kids really love to eat sweet foods. You cannot say no when they want it, even adults likes to savor processed foods, soda, and other food beverages which found out to contain high fructose corn syrup. A new study from Medical College of Georgia at Georgia health Science University examined the 559 teens between the ages of 14 and 18 and found a link between diets that are high in fructose and increased risk for health problems such as diabetes, high blood pressure, insulin resistance and cardiovascular diseases. The researchers emphasize the importance of a healthy diet and exercise and urge parents to keep an eye on the amount of high fructose corn syrup that is being eaten by kids at home and at school. So the next time your child ask for a soda or junk foods, always consider the effects of the foods that he intake on his body. It’s better to say no them at once than to suffer the effects later.